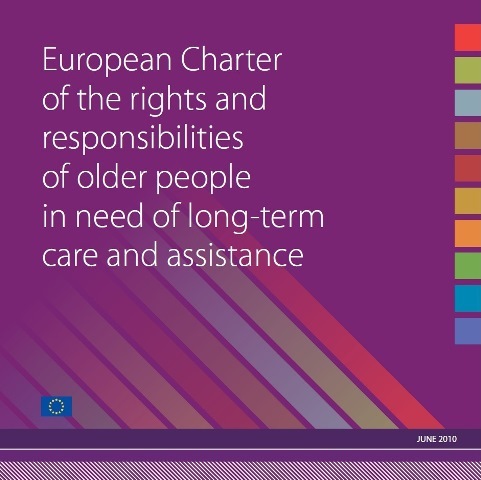 Between 2008 and 2012, AGE Platform Europe led two projects that delivered reference documents in the field of long-term care in Europe: the European Charter of the rights and responsibilities of older people in need of long-term care and assitance, as well as the European Quality Framework for long-term care services. This section contains links to these materials in different languages. Moreover, it links to AGE's toolkit on the dignity and well-being of older persons in need of care, which promotes both documents in a wider European and international policy framework. AGE initiated and coordinated the EU-funded project DAPHNE Eustacea - A European Strategy to Combat Elder Abuse. The objective of the EUSTACEA partners was to feed a reflection within the EU Member States on how best to recognise and affirm the rights of the most vulnerable older people. Building on existing national initiatives, the 11 project partners developed a “European charter of rights of older people in need of long-term care and assistance” in 13 EU languages. This Charter - and its accompanying guide - aimed to become a reference document setting out the fundamental principles and rights that are needed to allow older dependent persons to live in dignity. Drawing on successful and innovative initiatives from across the EU, an accompanying guide was develop to adresses the following questions: What is elder abuse? How can it be spotted? Why does it happen and how can it be prevented? And when it does happen, how should it be treated? It also proposes recommendations - elaborated in consultation that involved older people - for European, national and local authorities, service providers, older people’s organisations and persons at risk of suffering violence, abuse ang neglect. 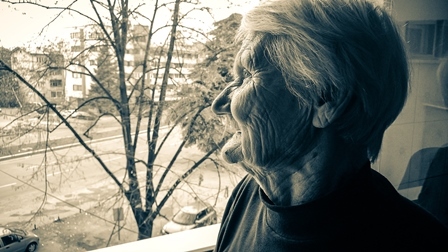 The Eustacea project helped build consensus among a wide range of stakeholders and built support for the development of a European Partnership for the wellbeing and dignity of older people, developed as part of a follow-up EU-funded project called WeDO (2010-2012), also coordinated by AGE. Bringing together 18 partners from 12 European countries, WeDO aimed to set up a lasting and open European partnership of European, national and regional/ local stakeholders committed to improving the quality of services for older people in need of care and assistance and to fight elder abuse. 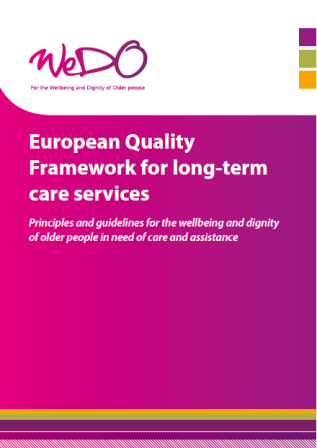 The project ended in December 2012 with the launch of the European Quality Framework for long-term care services, setting up 11 principles and guidelines for the wellbeing and dignity of older people in need of care and assistance. Read more on the WeDO partnership and European Quality Framework. To build on the success of WeDO and support its implementation at national/grassroots level, the 2-year WeDO2 project started in 2013. Coordinated by the Vrije Universiteit Brussel, WeDO2 aimed to develop, in using a participatory approach, new educational tools (an online train the trainer toolkit, learning areas where trainings will be tested) adapted to different groups (older people, informal carers, service providers). 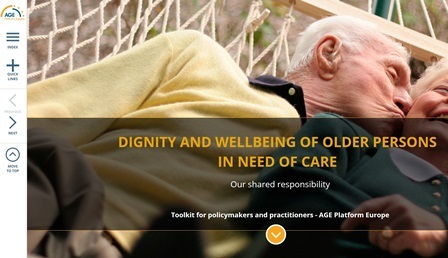 Both the European Charter and the Framework were used to develop AGE's online toolkit Dignity and wellbeing of older persons in need of care, which aims to help both policymakers and care professionals to adopt a rights-based approach to care policies and daily practice. This interactive guide provides essential information on the current policy and legal instruments in the field of the rights of older persons in need of care and support and includes practical tools to enforce the rights and dignity of older people in everyday care delivery.